Being the fourth generation to lead a company that designs and manufactures fluid bed dryers and heat transfer equipment, I have spent most of my life developing a high level of understanding of the technology and how it can be applied to many different types of materials. Working with our prospects and customers from the very beginning of the process through to product testing, new product trials and equipment commissioning, I have noticed how their level of understanding of fluid bed principles varies considerably yet I often hear the same types of misconceptions about fluid bed drying over and over again. This article describes several of the most commonly held myths and misconceptions about fluid bed drying, including how they may have arose and how today’s designs render them as outdated thinking. It would be easy for the uninitiated to watch a vibrating fluid bed dryer in action and wonder how the particles that enter the infeed are indeed the same as at the discharge with the same particle size and shape – only dry. The vigorous, up and down fluidization action going on inside the dryer may appear as a threat to the product. Surely it must break up sensitive products, create fine particles and cause product loss? Yet it is precisely this fluidization action, along with a series of engineering advances, that helps safeguard the integrity of each, individual particle. Consider how the tumbling action inside a rotary drum dryer affects product attrition, for example. The product is continuously fed through a long, rotating pipe while it rises up the inside of the pipe and is then dropped down onto the other particles. This is certainly not a design engineered to protect sensitive products. This also reveals why many rotary drum dryers are specified for drying products with large, coarse particles where the final shape is not very important. That isn’t to suggest that fluid bed dryers inherently prevent product attrition. Rather, the design of each dryer directly affects attrition rates. For example, since dryers achieve maximum heat transfer when the heated process air maintains continuous contact with the product, the conveying surface needs to allow this constant air-to-product contact with uniform air distribution. Conveying surfaces using outdated decks with drilled holes for airflow create dead spaces in between the holes without any air-to-product contact. This leads to uneven heat transfer, clogging, uneven flow and major demands on maintenance. In addition, when the airflow does contact the product, it does so as individual pulses, off and on, then off and on, rather than as an even, continuous process. Overall, these factors do, in fact, contribute to product attrition in fluid bed drying and are likely one reason for the prevalence of the idea that fluid bed dryers can cause high rates of product attrition. However, decks that use a narrow slot, wedgewire surface instead of drilled holes maintain a constant, uniform, air-to-product contact throughout the entire length of the dryer. The product is virtually never allowed to leave the airstream and flows gently as if part of a moving cloud. Further, when a gentle, vibrating action under 1G of acceleration is added using a very low frequency and amplitude, the dryer keeps the product close to the deck surface and under control. This helps minimize high, vertical movements that could allow product to escape from the airstream and allows the product to advance downstream in a first-in, first-out treatment. Myth: Contributes to product attrition: some dryers do, others do not. A second common misconception is that a fluid bed dryer doesn’t work well when drying fine, light-weight particles. This thinking likely derived from the fact that achieving fluidization requires a given air velocity and depending on the air velocity and particle size distribution, a percentage of the fine particles becomes entrained in the airstream. Once entrained, they are typically carried to a remote dust collector where they have to be transported back to the product stream or discarded as lost product. This cumbersome configuration creates inefficiencies that lead engineers considering the system to investigate other options. However, a fluid bed drying system in a different, more modern configuration can dry process fine particles down to 10 micron and effectively meet tight drying specifications. The key advance that allows this dryer design to counteract the misconception is this design sets a reverse pulse bag filter directly over the top of the fluid bed. If fine particles rise above the fluid bed to the point where they become entrained in the air stream, the integral baghouse filter prevents them from leaving the processor. The reverse pulse cleaning charge returns the particles to the fluid bed where they will ultimately be discharged together as one product stream. 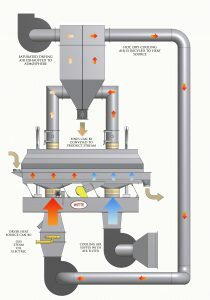 Since the dust collector is integral to the dryer, no additional dust collection equipment is required to exhaust the air to the environment. 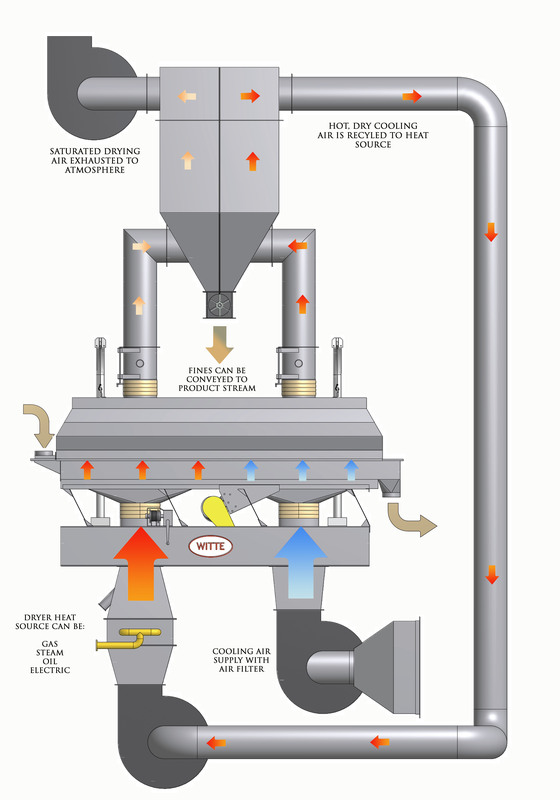 A number of dryer manufacturers apply the basic concept to small, batch dryers but many process engineers are unaware that this has been applied on vibrating fluid bed dryers for continuous processing. The Witte company has been producing this type of dryer for more than 35 years and it has proven to be effective on products such as bentonite clay, fine sugar, fertilizer, salt, specialty chemicals and more. Myth: Not fine with fine particles: some dryers can process fines just fine, others cannot. It’s very clear what gave rise to this misconception: many fluid bed dryers are simply very hard to clean. Many continuous fluid bed dryers are designed with bolt-on covers and no provisions for cover removal. Access to the interior of the machine is severely impeded and this makes it especially difficult to clean. Some of these dryers offer access via sampling ports or larger man ports that allow an operator to physically climb into the dryer. But that is something any safety-conscious plant manager might consider a task to be avoided. Given the importance of sanitary, uninterrupted processing and the costs involved in stopping a continuous process for cleaning, dryer manufacturers have introduced a series of engineering advances aimed at making access and cleaning much easier, safer and faster. The most impactful is what appears to be a fairly common C-clamp. But this clamp mounts onto the sides of the dryer deck to allow the dryer cover to be tightly attached to the deck without requiring any bolts or other fasteners. This clamp opens without any tools and when access to the dryer interior is needed, the clamps are simply opened and the cover removed. For even safer removal after opening the clamps, the cover may be raised by a second advance, a motorized cover lift. At the push of a button, the cover is raised and held out of the way until the cleaning and maintenance are completed, then lowered back into place. Not only do some of these dryers completely disassemble without any tools but they also may be installed on steel rails that allow the entire drying section to be pulled out like a drawer for full access. When considering other types of dryers that are commonly specified for processing lines that may be better served with a vibrating fluid bed dryer, consider the conveyor belt dryer as a fine example of how perceptions often fail closer examination. On the surface, it seems belt dryers would be easy to access and clean since the product often remains visible and open to the plant environment during processing. But moving exposed product on a belt over heat often requires a very large amount of plant space and their design typically requires a variety of rollers and bearings that need constant attention and lubrication to keep the motion under control. Access may be blocked by the frame, the configuration or the belt itself, which requires frequent tensioning and occasional replacement. 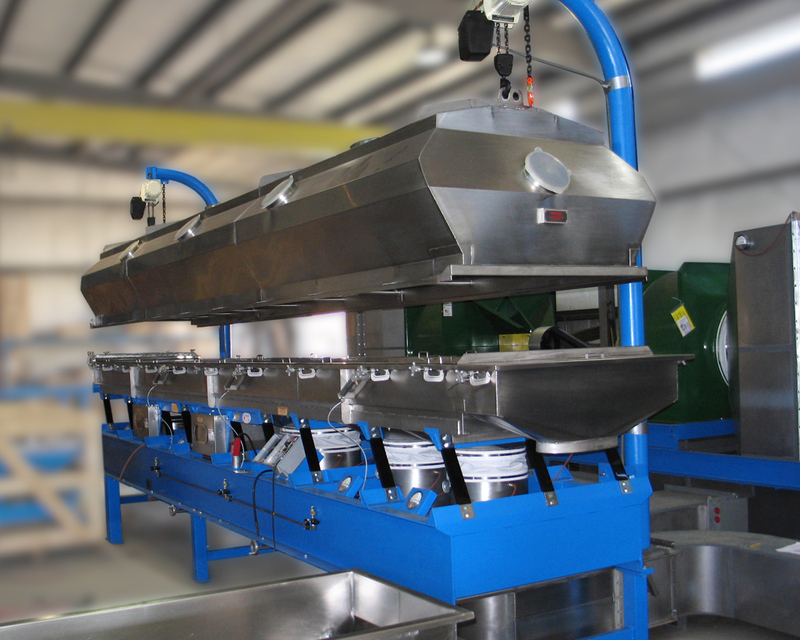 Some vibrating fluid bed dryers operate with virtually no moving parts, no lubrication to contaminate the product and fewer reasons to require a shutdown for cleaning and maintenance. Myth: Hard to access and clean: some vibrating fluid bed dryers access and clean easily, others are the source of the myth. Tyson Witte is 4th generation president of vibrating fluid bed dryer/cooler manufacturer The Witte Co., Washington, NJ. For more information, call 908-689-6500 or see www.Witte.com.